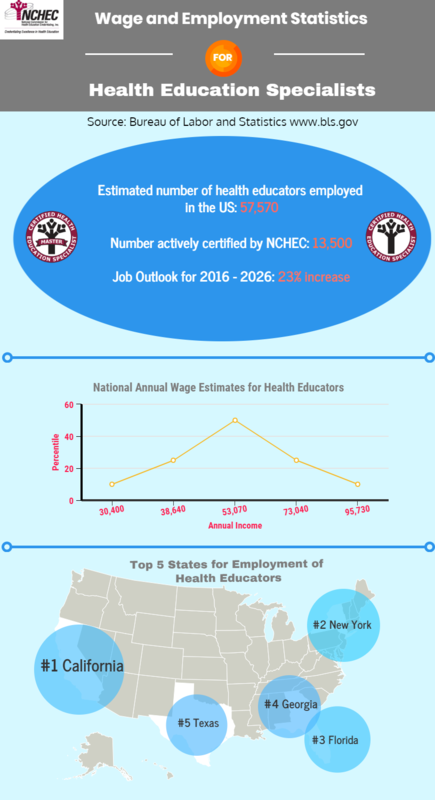 Print out our white page informational sheet about the value of our Health Education Specialist certifications and why obtaining this credential simply makes better business sense for employers across the country. Hear from organizations such as Montefiore Health System, Sentara Healthcare, and Kaiser Permanente about why they now require or prefer certified employees. 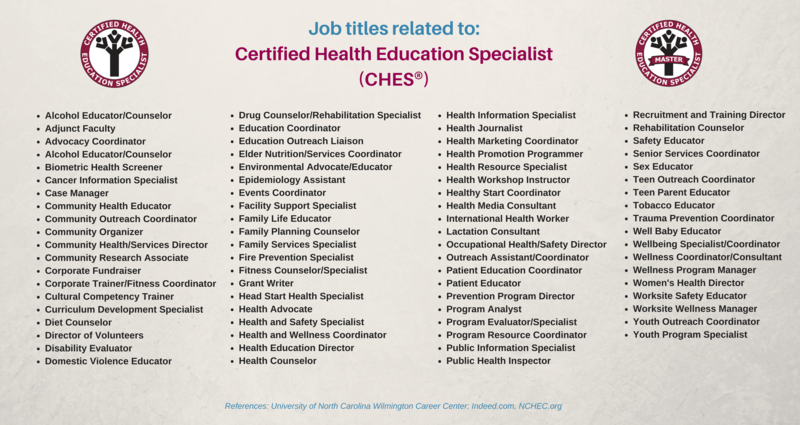 In addition, this two-sided flyer clearly demonstrates the difference between the CHES® and the MCHES® certifications, and the many job settings where health education specialists practice. Click here to access the 2017 Fact Sheet.